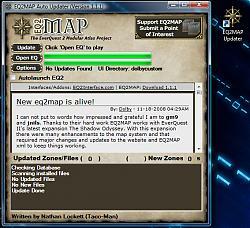 Last edited by klara31 : 03-09-2005 at 11:52 AM. Really great work gang. This is absolutely awesome. thanks all for all your hard work on this. Any chance you can add an option to autostart scanning ? 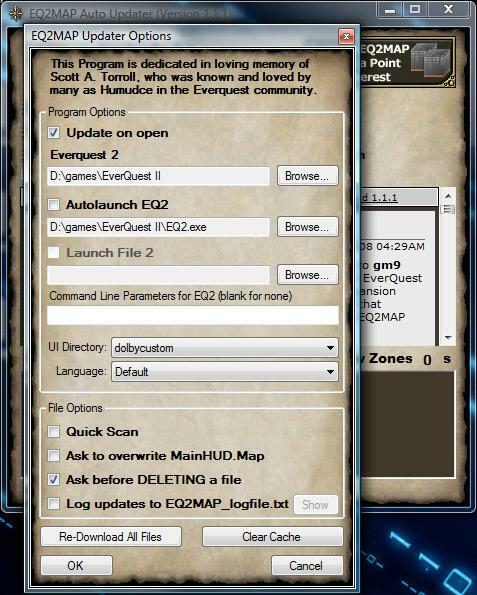 I'd like to be able to launch it and it starts scanning automatically for updates, after that, if I have the option to launch EQ2 set, it should open EQ2 too. Works awesome!! Thanks. I will be diligent in POI's from now on! 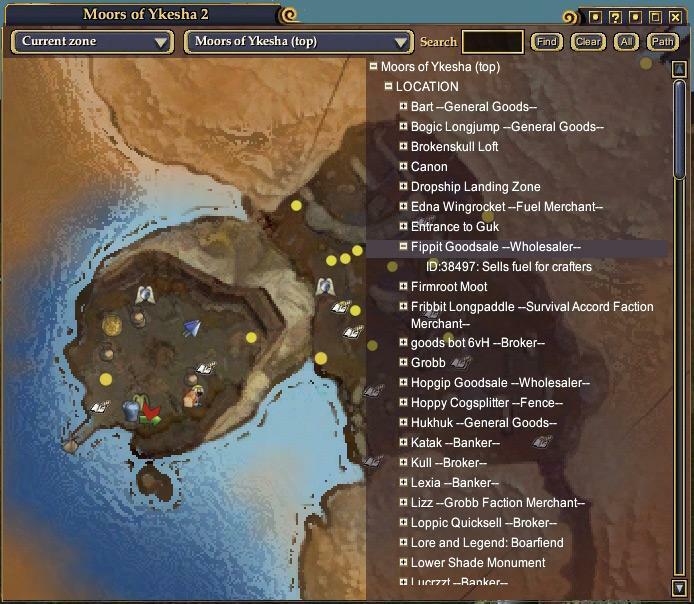 YAY, thank for your awesome mod. Taco-Man You Rock... looking really good. Thank You for this awesome tool. 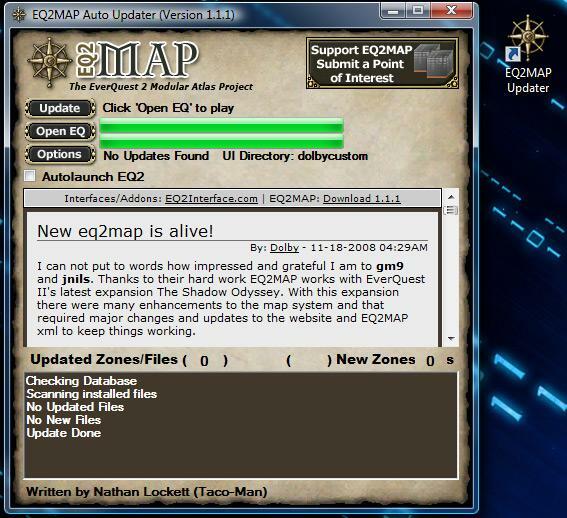 dont forget about the whole EQ2MAP team, without them this updater would not have anything to update and there would have been no point in creating the automatic eq2map poi generation. First great job, the whole project team did wonderful job. I downloaded the patcher and it seems to work except all the text is jumbled. The info text is bleeding down into the update colume. Last edited by taco-man : 03-11-2005 at 09:47 AM. I can not say this enough!! Wow, a perfect tool at the perfect time! You guys are completely awesome!!!!!! 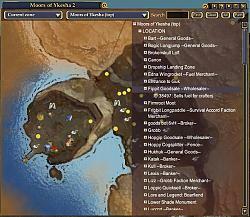 You know, I thought when I downloaded the map mod that THAT was the best work I had seen so far. And then you go and top it with THIS? EXCELLENT work! I LOVE it! And thanks for the extremely detailed install instructions.